Vermont Rail System; the Dark Side. 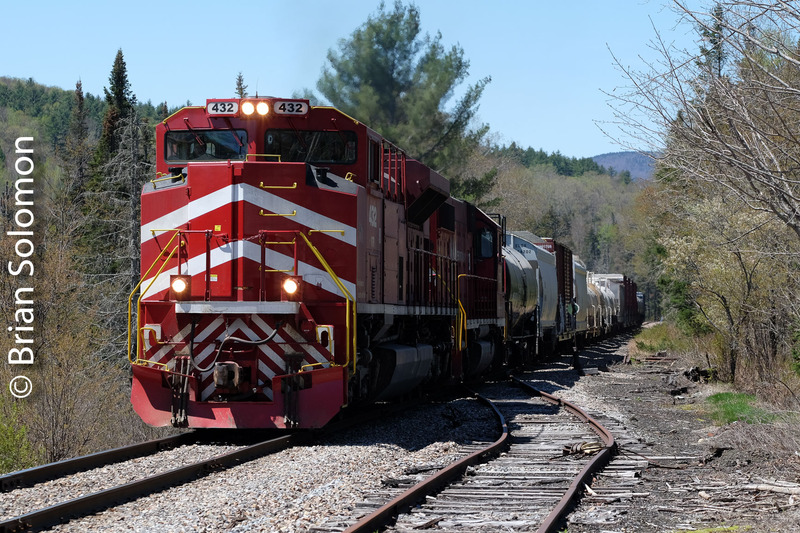 On Friday May 11, 2018, I made this view of Vermont Railway System SD70M-2 432 ascending the grade at Mt. Holly on Green Mountain Railroad’s former Rutland. Over the years I’ve made a number of photos at Mt. Holly, and I like to work the ‘dark side’ of the tracks here, because it better features the old siding that is still in place there. This telephoto cross-lit dark-side view also adds a sense of drama and better features the mountains in the distance. Exposed using my FujiFilm X-T1 with a 90mm Fujinon telephoto lens; ISO 200 f5.6 1/500thof a second. Too often railway photographers seek ‘calendar lighting’, (over the shoulder three-quarter (morning or afternoon) sun, with a minimum of shadows, diffusion, or other natural lighting effects). There’s nothing wrong with these classic conditions, but when applied repetitively in exclusion to other types of lighting it can result in a predictable body of work. Formulaic is a term that comes to mind. Consider cross lighting; when the sun illuminates from an angle opposite the subject, yet not in the photo. This offers bright light on the front of the subject, but shadows on the side creating a more dramatic angle. This effect can be tempered when the lighting is low, diffused (by clouds, mist or pollution) and/or when bright foreground (such as snow) reflects light into shadow areas. Exposed digitally with a FujiFilm X-T1 with 12mm Zeiss Touit. 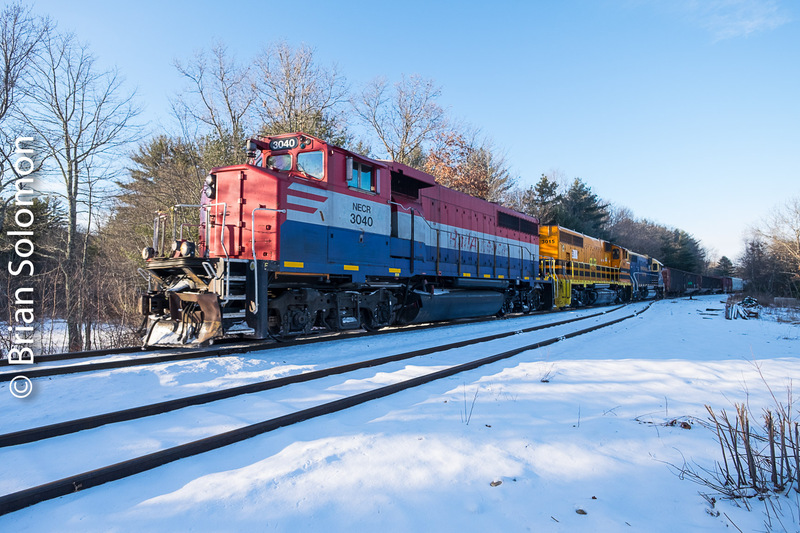 I made this cross-lit view on the New England Central at Stateline Summit in late afternoon. Notice my use of foreground.